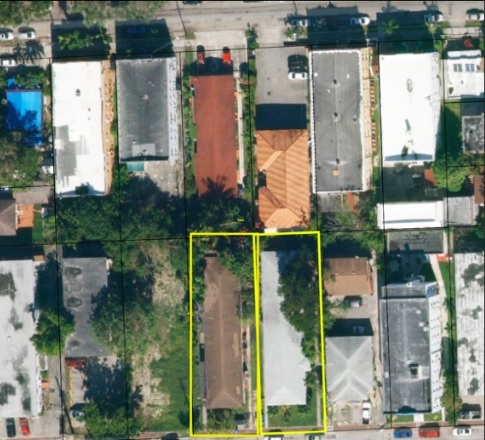 Little Havana Multifamily 9 Units. 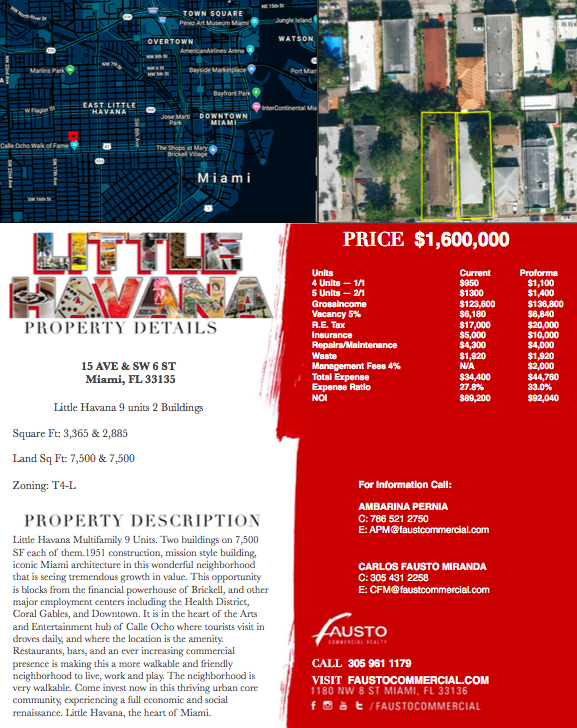 Two buildings on 7,500 SF each of them.1951 construction, mission style building, iconic Miami architecture in this wonderful neighborhood that is seeing tremendous growth in value. 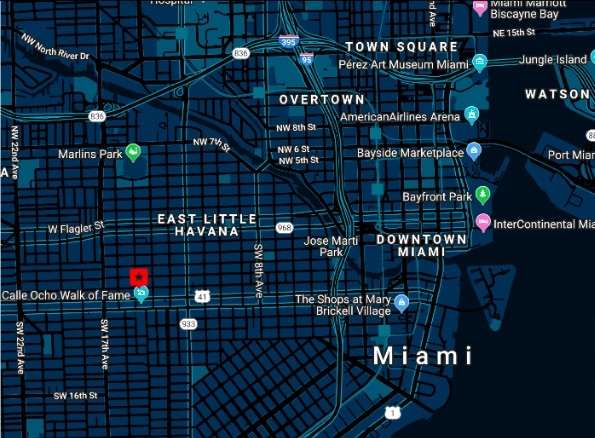 This opportunity is blocks from the financial powerhouse of Brickell, and other major employment centers including the Health District, Coral Gables, and Downtown. It is in the heart of the Arts and Entertainment hub of Calle Ocho where tourists visit in droves daily, and where the location is the amenity. Restaurants, bars, and an ever increasing commercial presence is making this a more walkable and friendly neighborhood to live, work and play. The neighborhood is very walkable. Come invest now in this thriving urban core community, experiencing a full economic and social renaissance. Little Havana, the heart of Miami.